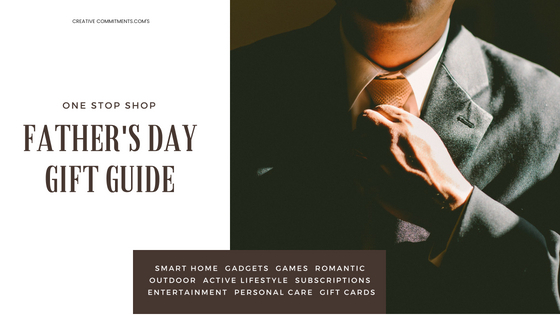 We know how hard it is to buy for Dads so we’ve compiled our One Stop Shopping Father’s Day Guide from a guy’s perspective to help you out! These are our top wish list items from Amazon and other sites, broken out by category with quick links for an easy shopping experience! 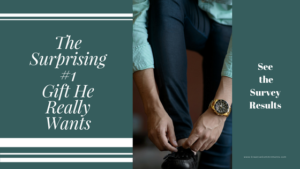 Check out the results of this Men’s survey about the Top 3 gifts they really want! All the music he desires …. and Free Shipping! If he doesn’t have Amazon Prime yet, which is great for free 2 day shipping and unlimited music, you can Give the Gift of Amazon Prime just by clicking the link! 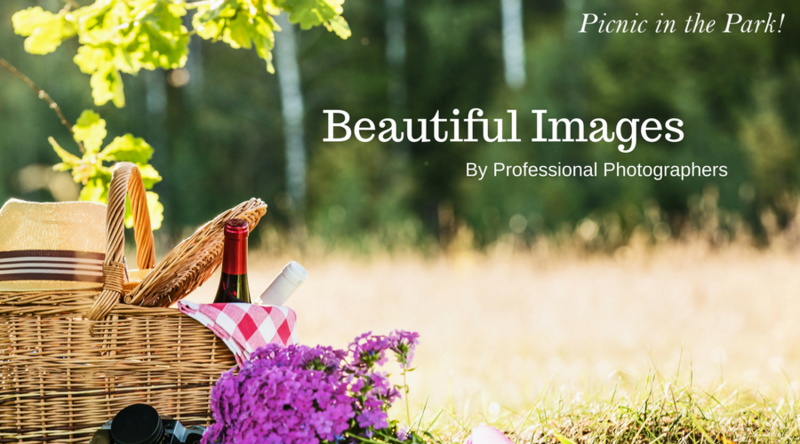 Experience Gifts make the perfect way to make memorable moments that you can share together. Creative Commitment’s Date-a-Month Love Calendars and Journals give you a year of memorable moments and make the ideal romantic gift for Father’s Day or any occasion! 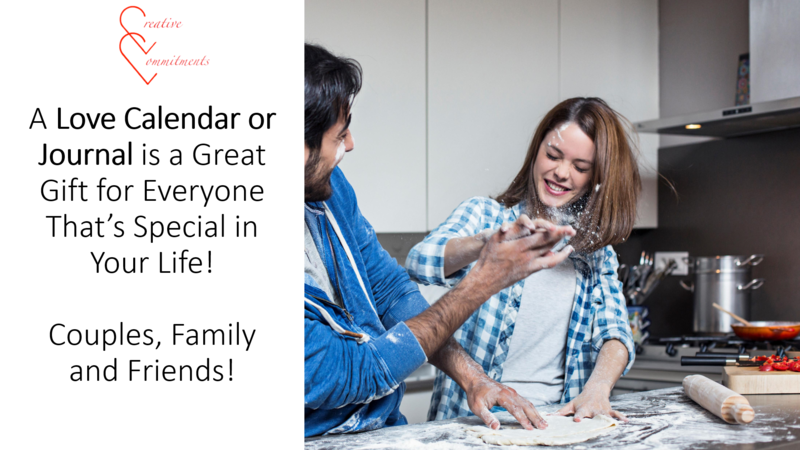 You can also make a Family Fun Calendar full of fun dates your whole family will enjoy! 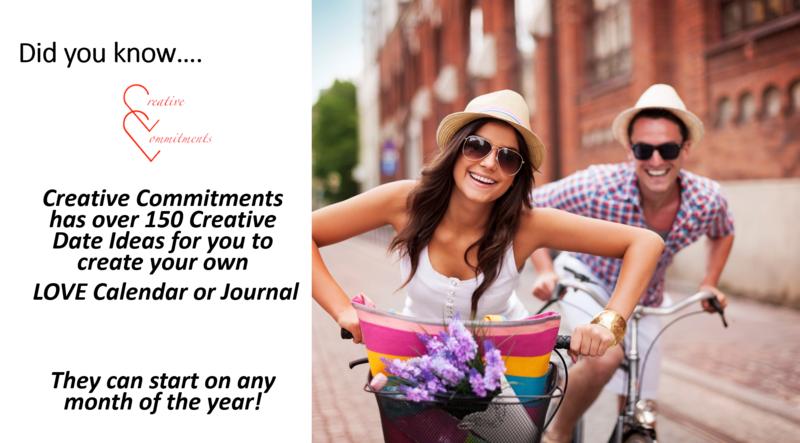 If you’d rather pick out your year of dates together, give him a Creative Commitments Gift Card voucher! Stream music wirelessly throughout the entire house including Dad’s workbench with these great sounding Amazon Echo devices! He can even just ask Alexa to tell him the weather, the latest sports scores and news! And with the Phillips Hue Light system, he can tell her to turn on lights in different rooms or program them to go on and off at set times! Help Dad ensure a safe home with these great gifts high tech home security gifts! Cards Against Humanity isn’t like any other card game you’ve played before. It is completely NOT politically correct, or appropriate for children, but it is quickly becoming a party favorite across the nation. Help Dad generate some laughs at his next party with friends if you dare or if you’d rather take the safe route, this Corn hole bean bag toss, Bocce Ball set and/or Ladders game would be perfect for his next barbecue! Let Dad be the hands free master of his TV using Alexa with these great streaming devices! Movies – Guys like Action! Audiobooks are a great alternative for all those Dads that love a good read but don’t have the time. Here’s a great way to get him started with two free audiobooks from Audible! Or, give him a full year of unlimited reading with the Kindle Unlimited program! First month is free! For the Handyman Dad, Tools are still a great gift to give even if they’ve got everything since they have increasingly become lighter and more efficient over the years. Even drill bits wear out over time causing stripped screw heads and reduced accuracy. Here’s some great ones to consider! Versatile and stylish Travel Bags can upgrade his trip to the office or vacation! For the master griller Dads, Smokers are a great alternative with great flavor! He can make his own jerky! For the griller on the go, a reliable table-top grill works great for picnics, beach outings and camping! Of course Dad’s need a place to rest after all of that grilling – check out these Zero Gravity chair with beer (ahem, I mean Cup) holders! Personalized items are always a fun one for Father’s Day! Check out these fun ones! Last but not least – Dad’s always appreciate an Amazon Gift Card! We hoped you enjoyed this year’s Father’s Day One Stop Shopping Gift Guide! Happy Father’s Day to all the Dads out there! 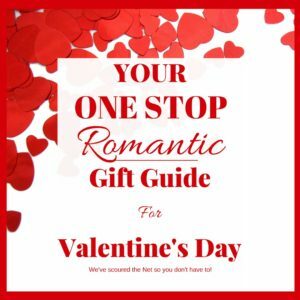 We’ve put together this Romantic and Unique Gifts Guide for Valentine’s Day and any special occasion as we know it’s always a challenge to find meaningful gifts every year that goes beyond flowers and chocolates. We’ve scoured the Net to find great gifts that your Love will love for Valentine’s Day with some of the best discounts and deals! Of course, we also have flowers and chocolates links for you for a one-stop shopping experience! 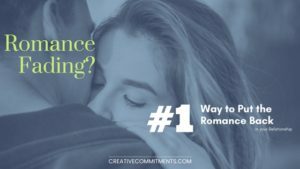 Romance Fading? It’s a common problem. You’re busy, really busy. After you get done with all of the ‘adulting’ you do every day, you’ve barely got enough energy to hit the remote on the TV, let alone get dressed up for a date with your Love. The romance in your relationship gradually fades out and you’re both left wondering what the heck happened. This post goes out to all of those couples that are in a long-term relationship, or even considering a long-term relationship. Man! Remember how you felt at the beginning of your relationship when you first started dating? 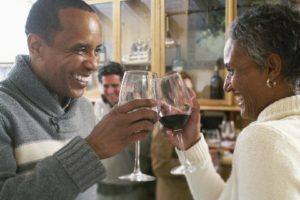 You were totally connected, craving to learn more about your partner and bonding over the new things and new places you were experiencing together. You tended to forget the rest of the world when you were together, like it was just the two of you and intimacy was just a natural outcome of the closeness you felt. Man! Wasn’t that great? Do you still feel like that now? No? Or maybe sometimes, but feel like it’s slipping? So, what happened? If you’re like the majority of the rest of the couples, you simply got caught up. Caught up in the daily routines of life; work, kids, soccer practice, chores, errands and projects and you honestly can’t even remember how either of you had the time or energy to go on dates back then. I call it the “busyness trap.” One of my clients said that after 17 years of marriage, he feels like he and his partner are more like roommates than lovers. But it doesn’t have to be that way. If someone told you they had a magic potion that could give you at least a version of those initial feelings back again, how much would you pay for it? $100? $500? $1000? Well, I have good news for you, my friend. It’s more like a formula than a portion, but it does exist and the best part is – it’s absolutely free! 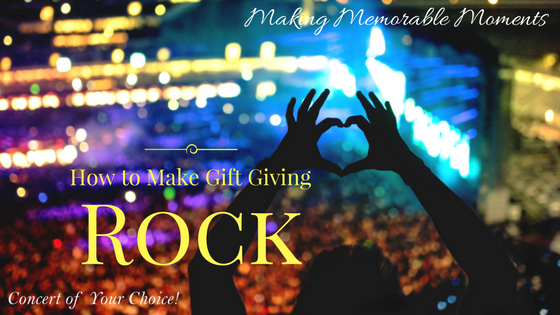 Make Gift Giving Rock – Give an Experience and Make Memorable Moments at CreativeCommitments.com! Giving experience gifts helps you create memorable moments that will last a lifetime! 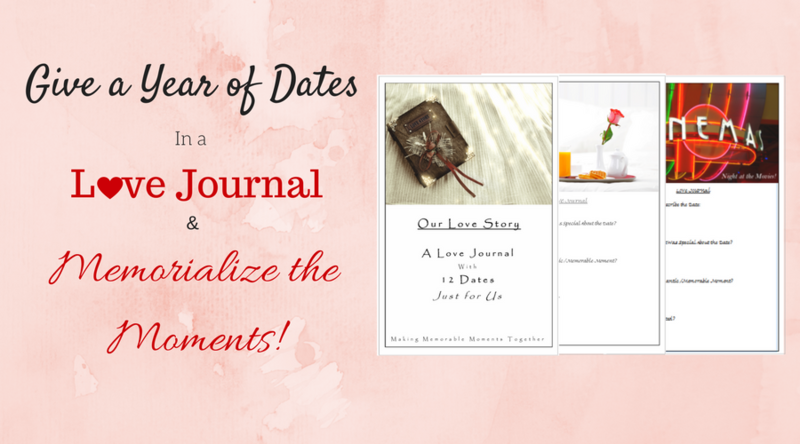 Customize a Love Calendar to give the two of you 12 months of memorable moments! 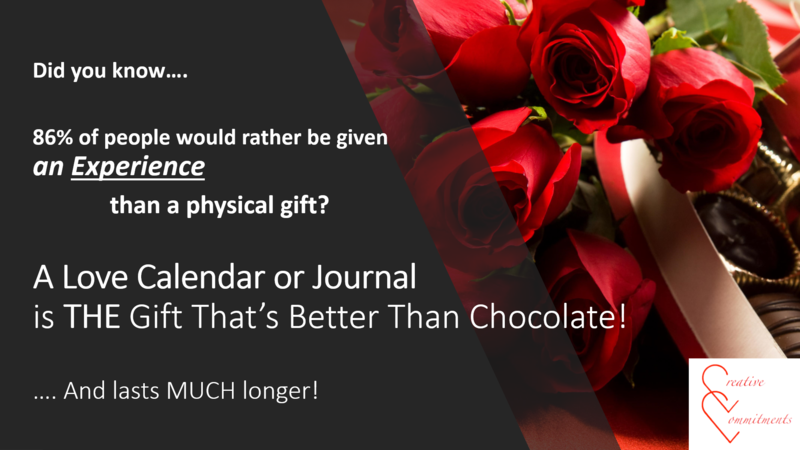 For example, create a “Concert of Your Choice” Date in your Love Calendar! 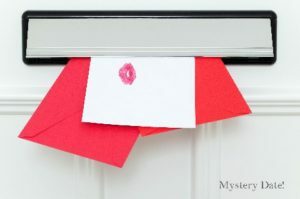 This past weekend, my wife and I had an incredible evening on our first Mystery Date, which was March’s Date Idea on our Love Calendar. I must admit, with so many fun ideas to choose from, choosing a Date Idea was initially a bit of a daunting task! Wouldn’t it feel good to know you played a part in helping keep the romance alive for couples everywhere in the world? I’m Adam and for over 20 years, I’ve had this idea of creating a calendar to help couples stay focused on the romantic side of their relationship amidst all of the busyness of their daily lives. That dream has finally come true! If you agree, please help me get the word out by liking and sharing this post to your Facebook page, Pinterest boards and other social media sites! Together we can help keep love alive in the world! Have you ever found yourself getting so caught up in the urgent tasks and busyness of each day that you’ve lost focus on the less urgent things that are also super important in your life? Like taking your sweetie on a romantic date perhaps? Or scheduling that preventative exam at the doctor’s? 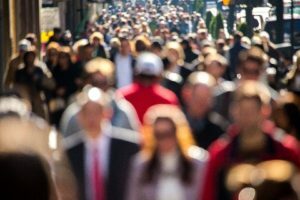 Most of us have fallen into this “busyness trap” more than once. We become so busy putting out our fires, that we don’t have much time for anything else. The biggest rub of all is that if we don’t make time for these less urgent things that are super important, they can create even more fires in our lives. Like creating relationship problems or exacerbating health problems. These things feel less urgent because they’re more flexible in timing. However, delaying them is a slippery slope since we almost always have other things that seem more urgent to do and they’re just too important to lose focus on. 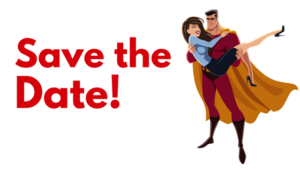 We can’t help you with that preventative exam, but we can certainly help with planning a date a month in advance for the whole year to keep the romance alive! 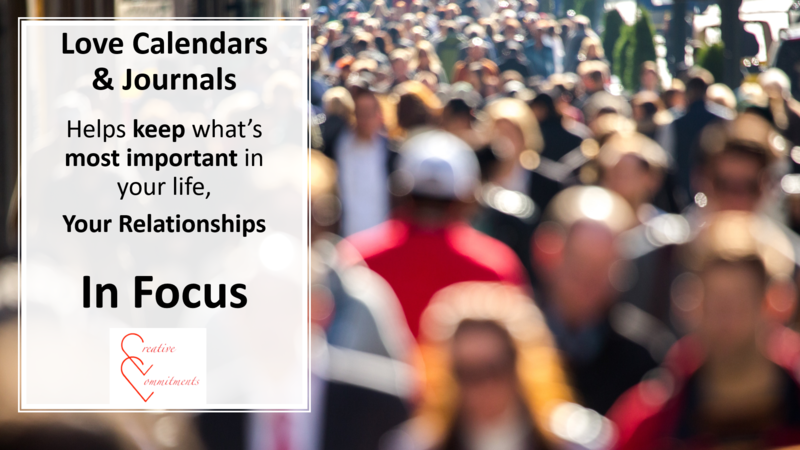 That’s why the Love Calendar is the perfect gift because it keeps what’s most important in focus all year long! One customer said it’s like a “Post It” note for your relationship! It’s a great visual reminder, that you can put on your refrigerator or wherever is central in your life, to keep it front-of-mind and help put the priority around the two of you. And yes, it’s also a calendar, which will help you schedule this most important date each month at a time that’s convenient for both of you! Search our ever-growing inventory of creative Date Ideas to make your own Custom Love Calendar or check out our Pre-Made Calendars that include some of our most popular Date Ideas! 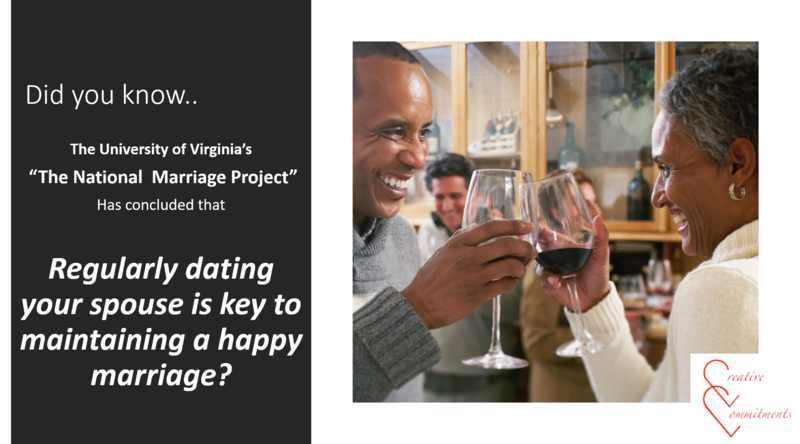 Stay tuned for future articles related to relationship tips, date planning and more!